According to the Bionews report Frozen embryo ‘adoption’ scheme to lose US government funding, the Department of Health and Human Services (HHS) will not request funding for continued support of the Embryo Adoption Awareness Campaign and the program will be discontinued in 2013. This Campaign was created in 2007 by Nightlight Christian Adoptions, a Pro-life group. The purpose of the campaign was to ” increase awareness regarding embryo donation and adoption as a family building option”, according to the Embryo Adoption Awareness Center’s website. Last year, the center received 1.9 million dollars and a total of 23 million dollars since the first year of funding. According to their website, there have been 270 children born from embryo “adoptions” facilitated by the center, or about $85,000 per birth. If this was the only avenue for couples seeking pregnancy via embryo adoption, it might just be worth it. But it is not. 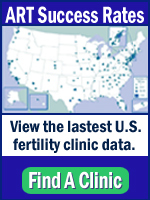 Almost every fertility center has a program in place for embryo adoption within its patient population. Why? Because every center has some patients with extra embryos that they would prefer to donate to infertility patients rather than discard and some patients who would like to have an embryo transfer with donated embryos to become pregnant. So it’s a nice tidy ecosystem of supply and demand, if you want to be utilitarian about it. Even Barbara Collura, the executive director of Resolve: The National Infertility Association, is shedding no tears over the loss of this funding. According to the Bionews article, she thinks the money Congress already has spent on embryo adoption awareness has ‘done the trick’ and believes that more funding is needed for general education about infertility. I would agree. Any benefit from this funding has been had. I have to admit that I was always more than a little skeptical of the value of this program because my personal interactions with Snowflake facilitators on the behalf of patients has never been encouraging and sometimes downright disturbing. One case in particular stuck in my mind for two reasons. First, these embryos had been donated and re-donated at least 3 times, traveling from clinic to clinic, trying to find a “home” , perhaps explaining their poor quality at thaw. Secondly, in order to receive these Snowflakes embryos, the recipient patient told us that the Snowflakes organization required her to promise that she would to transfer all the thawed embryos, regardless of quality. Typically, because we can’t predict which of the embryos, if any , will prove to be viable after thaw, more than 1-2 are thawed and the best growing (or sometimes only growing ) 1-2 are transferred. The patient was worried that if we thawed them only 1-2 at a time, she wouldn’t have any good quality embryos for transfer and if we thawed all of them, there were too many to safely transfer. I believe in the end the patient’s physician was able to convince her that her medical safety came first, any obligations to the Snowflakes organization came second. This possible demise of this program which was initially funded under the conservative presidency of George W. Bush during the great stem cell debate, is being decried by the religious right as though its demise will actually have any effect on the continuation of embryo adoption in the US. The political activists who are shedding tears over this program are ignorant (or pretending to be) regarding what really happens in fertility centers all over this country. Embryo adoption was a viable option prior to this program, funding this program had minimal effect on the number of embryos donated, and loss of this funding will likewise make zero difference in the options patients have. Why? Because most fertility centers are working to help their patients get pregnant, regardless of the patients religious or political views. If anything, the fertility industry is often more market than mission, so you can be sure if there is a way to help two patients with a problem (one with excess embryos and one who wants an embryo transfer), this medical need will be met. The creation of this awareness campaign was politically motivated and its demise is no loss to the infertility community. What annoys me is that infertility is so often used as a political football by political groups to advance their political agenda and not because they care (even a little) about solving the problems of infertility patients. The Pope thinks IVF is a sin and so embryo donation has deeply troubling moral implications and arguably may not be moral because IVF embryos were created by immoral means. The Christian Snowflakes group thinks that women are required to thaw every single embryo they receive, transfer it to their uterus (even against medical advice) and hope for the best. The embryo “uber alles”. What about the patient? The oft-reported statistic that 400,000 embryos reside in storage in US fertility clinics is also very misleading because it is always implied that but for embryo donation, these would all be discarded. In fact, Snowflakes says “we are trying to provide a loving option to the families of the over 600,000 (estimated) embryos frozen in clinics throughout the United States. ” Wrong, Wrong. Wrong. In fact the vast majority of these stored embryos are not available for donation and will be “used” by the patients who created them to start or enlarge their own families. It is only when their own family building efforts are complete and they still have embryos in storage, that disposition of these embryos become an issue for the patient. This group of patients with excess embryos is a minority in the IVF patient population. In my experience, perhaps only half of the patients had excess embryos to freeze after a fresh cycle. For most patients, any excess embryos were used in the next cycle (if the fresh cycle failed) or in two years time when they wanted another child. Very few patients had left over embryos after two cycles. In most programs, patients with excess embryos are offered all the options for disposition (embryo adoption, donation to stem cell research, donation to the clinics to keep technical skills sharp or discard). And guess what, the patients made that choice! Not the government. Not the clinic. Not political interest groups. So leggo my “eggo”. A better use for this funding would be education about the preventable causes of (some kinds of) infertility and all the options for family building (not just IVF) when infertility becomes an issue. When patients are informed about all their options, they can make the best choices for themselves and their families based on their own (varied) personal beliefs and ethics. That seems fair to me. Do you know, is Snowflakes the only organization through which you can have an open adoption of your remaining embryos? Don’t most (all?) clinics offer only closed adoption? The difference with Snowflakes, then, would be the option to choose the adoptive family, or certain characteristics, and even to know the children as the grow up, at the extreme. If that is true, then Snowflakes would be the only option (again, taking an extremely conservative point of view) for remaining embryos if you cannot, for whatever reason, transfer them to your own uterus. Also, do you have any idea if the Snowflakes organization will be closing altogether minus the federal funding, or if they have enough money through the fees they charge to carry on operations? I have no reason to expect that infertility clinics would disallow open embryo adoption as a matter of policy. With surrogacy arrangements, most clinics leave it up to the patients to make the legal arrangements regarding this arrangement. For egg donation, most clinics will work with patients who are using either an anonymous or known donor, and again ask them to take care of legal considerations on their own. Individual clinics set up the services they will provide. Regarding your second question, I do not know what financial plans Snowflakes has to carry on. If their work is a priority, I would expect that private funding could support their on-going efforts. The Embryo Adoption Awareness Campaign was started by Senator Arlin Spector (DEMOCRAT-PA) in 2002, not George W. Bush. Since that time multiple organizations (including Nightlight) have received grant funding through the DHHS. The process of embryo Adoption was pioneered by Nightlight back in 1997 – and was successful during the five years prior to the availability of these grant monies and continues to be successful. People with remaining embryos should be familiar with all of the options available to them. Research completed in 2011 showed that there are indeed over 600,000 embryos in frozen storage in the U.S. and yes the majority of those embryos are slated for use by the owner. However, five to six percent of these embryos will be donated, either through a clinic or through and adoption agency. Embryos donated through a clinic program are primarily donated anonymously because the clinic programs do not have the administrative structure in place to do otherwise. For those embryo owners interested in actually choosing who receives their remaining embryos they can work though one of the mulitple embryo adoption agencies in the US. RESOLVE is also a multi-year recipient of funding from this particular HHS grant and unfortunately did not receive additional funding during this grant cycle. Now that they aren’t being funded it is easier to say it isn’t a valuable program. The fact is that the number of embryos in frozen storage is increasing by 4-5% every year because of the increased use of IVF. It always baffles me when those who have the loudest outcry for CHOICE are also the first to eliminate the availablity of choices. The families we work with are delighted to have the ability to choose who will receive their remaining embryos. The embryo donation issue benefited greatly from Bush’s presidency and Bush directly refers to embryos as “unique as snowflakes” in his stem cell speech and makes clear his personal view that embryos should be adopted and not donated for stem cell research. I have a link above to his famous speech in which he wrestles with his conscience regarding embryonic life if you care to read it. He also provided the Snowflake organization many photo opportunities to promote this choice over other choices. The fact that Democrat Arlen Spector was active in obtaining this funding does not minimize the impact President Bush had on promoting embryo adoption over donation to stem cell research. Not to mention that he vetoed federal funding for embryo stem cell research. His veto, if not actually eliminating this choice, certainly crippled this option for disposition. Several states initiated state funded initiatives in response and privately funded efforts began but can’t replace what federal funding could have provided. As you point out, embryo donation, both anonymous and open, is widely available directly through either fertility centers or embryo adoption programs such as your own and others. The loss of federal funding will not make this option go away (and so will not reduce anyone’s options) because as you point out, there are many other non-funded groups that are making this available to patients and Nightlight offered this option in 1997 prior to federal funding. The 4-5% increase in embryo storage, if valid, does not necessarily mean there are more “excess” embryos available for adoption –it may simply mean more patients are utilizing IVF. I would love to see a day when ZERO excess embryos are created by IVF because in my experience patients wrestle with gut wrenching choices about what to do with their excess embryos- there are no easy choices. Some patients reject embryo adoption precisely because they see these embryos as their potential children and so don’t want them “given away” to others. Unfortunately, because we still have a very incomplete understanding of how to perfectly optimize IVF treatment to get just enough fertility, but not too much, the default option is to err on the side of more stim, not less, and maximizing percent fertilization. So, unless patients are willing to live with a much lower pregnancy rate, some patients will still be grappling with these difficult choices arising from excess embryos. I have never wanted my health care choices co-mingled with religion or politics but sadly both try to creep into a woman’s right to choose more often than not. As an adult adoptee and someone who is also trying to adopt domestically (approved home study, etc), I am beyond offended at the use of the word ‘adoption’ as it relates to the donation of embryos from person/couple to another. I am also the beneficiary of donated embryos through my clinic that I am cycling with currently. So, I have a unique perspective. Setting aside when someone believes life is created, you cannot ‘adopt’ tissue. Any organization putting a couple through the rigors of an adoption process in order to ‘place’ embryonic tissue with them is misguided. I am happy to see the de-funding and hope that someone will take up the mantle to recognize infertility as the disease process it is and require real insurance coverage toward its treatment. The creation of a national donated embryo registry would be so helpful for those hoping to create/build their families using cryopreserved embryos. Most fertility clinics do not have well established embryo donation programs and Miracles in Waiting, one of the only other donor embryo ‘matching’ sites has a limited inventory. However, it is a resource available to those looking to match with donated embryos. As always, thanks for keeping us up to date, Carole. What It Is What It Is said. Ditto. Particularly: “Setting aside when someone believes life is created, you cannot ‘adopt’ tissue. Any organization putting a couple through the rigors of an adoption process in order to ‘place’ embryonic tissue with them is misguided.” AMEN! As the mother of a child through an open embryo DONATION, I am glad to hear of this defunding. I would like to see more clinics facilitate open donations. Although I do not consider this adoption, there are lessons to be learned from the long history of closed adoption. Possible contact with her full genetic siblings is a gift I wanted to give to my child. I was lucky. My donor and I connected through my blog. We wrote our own contract, and are in complete agreement regarding disclosure. Thanks for writing about this, Carole.